Construction of the new Carolina Family Dental Center is complete! When the Carolina Family Dental Center outgrew its pre-manufactured building, they sought a more welcoming, efficient environment for patients and staff. This economical design provides natural light, a pleasant atmosphere, and the space and technology to meet the needs of its surrounding community. The center accommodates four dentists with fifteen operatories and a sterilization room. Using building-information modeling, we were able to provide plans that allowed the client to pre-visualize the proposed spaces, as well as the building exterior. 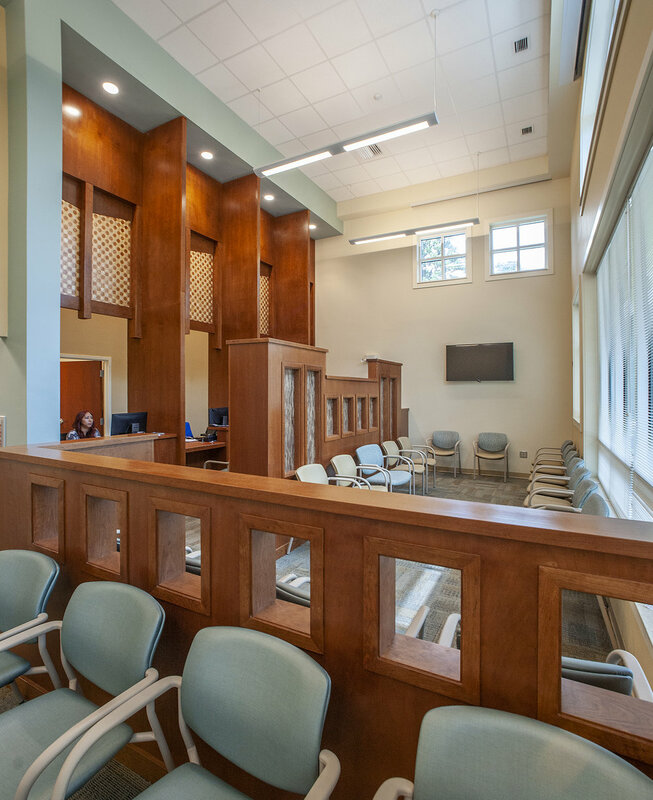 Throughout construction, the clinic was able to maintain uninterrupted operations in their existing facility while new construction took place on the existing site. This design includes a low-maintenance metal roof and the installation of a full new vacuum system.